Kindle Price Drop – A MILLION LITTLE GODS: THE CLEARWATER CHRONICLES $0.99! I do hope to see more to more from the Clearwater Chronicles. 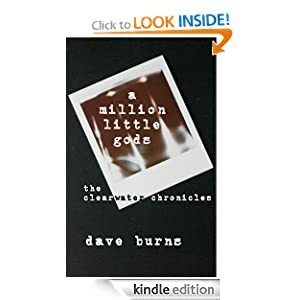 This entry was posted in Uncategorized and tagged a million little gods: the clearwater chronicles, Amazon, Author, book, Dave Burns, free, Free Promo, Kindle, The Ottawa Writers' Guild, Uncarvedbooks. Bookmark the permalink.